As many of us are looking forward to spring home selling 2015 housing market and an end to the cold winter, it’s hard to get excited about it as there still remains a few months of it left. On the other hand you can go to any large department store anywhere in Oakland County and see Easter prominently exhibited giving our internal clocks a feeling of relief from our claustrophobic reaction to the cold winter months. Although there are those that thrive in the winter season, but I’m not one of them at this point of my life. Being a Realtor in Oakland County and getting ready for the spring home selling season can be challenging but also exciting. Forecasters say that this spring 2015 and summer will have the most engaged home buyers and sellers in our Oakland County housing market then in many years past and that is very exciting to me. Spring home selling can be a tremendous task for any home owner whom is thinking about listing their home and may be putting it on the back burner at this point, but I’m here to help with your entire spring home selling needs and thought I would try and help get you motivated by sharing some starting points. Getting motivated to consider selling your home could not be harder in mid-February, but now is the time to try and get in in your mind if you plan to sell in the spring home selling market 2015. One of the best and most important benefits to preparing for the spring home selling market is to beat your competition to the market. Once your neighbors have listed you may have lost the upper hand with your price, terms and contingencies that could be optimal for you. Buyers have been hibernating as well as sellers,they are ready to buy a new home while rates are still at record lows, lender restrictions are easing and low inventories motivate them. Although home owners may not be considering getting into the spring home selling market at this time while the weather is still cold and snowy, but you can bet that their smart competition are preparing already. Making the decision to sell or not to sell is a balancing act of pros, cons, and functionality. 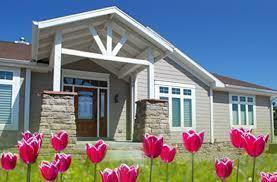 Some of the pros for spring home selling are rising market values, buyers ready to buy and rates are all time lows. For the spring home selling market home values are up or peaked making it a perfect time to sell as many homes are no longer underwater and can even make a profit for the first time in years. The best way to determine your homes current value is to have a thorough market analysis completed on your property from a licensed Realtor, this will help you determine your flexibility in your homes current value. The cons of selling are few as it can only be a smart move in this forthcoming spring home selling housing market according to all signs and signals from top housing market analyst. If your family has grown and your home has become nonfunctional for for their needs, is there more room to grow? If you are empty nesters, is the home too large for your needs? These are questions to ask yourself and now couldn’t be a better time to move up or scale down. Once you have decided to join the spring home selling market of 2015 whats next? Start to interview local Realtor’s at your home so that they can give you their expert opinions of the homes condition and what you may want to consider getting done before listing the home. Getting a comparative market analysis via email is a good start, but doesn’t give a clear value as it would if the Realtor can actually see the home and any upgrades that have been done. Pricing is merely a starting point. The best criteria for choosing who lists your home is not opinion on price, but a firm’s reputation for giving home sellers a solid, competitive edge. In addition, you need an experienced agent who can negotiate well, because no matter what price you set, many prospective buyers will want to bargain. Educate yourself on the spring home selling market and get involved by visiting my website to size-up the homes-for-sale competition, read home selling articles on our site, consider reading a book on home selling, attend some seller’s Open Houses in the your area (ask me). As your local Oakland County Realtor professional I specialize in listing in the Oakland County area, I know what it takes to sell in this spring home selling market approaching and it would be a pleasure to assist you every step of the way. Lets take a hard, objective look at your home together. Prioritize what needs to be done, and decide how much you can spend in time and money to make it look its best before opening it up to buyers. Get rid of all clutter and put some of your stuff in storage to make the rooms and closets roomier. Put together an information packet on local amenities, your utility bills and other helpful information for buyers. By setting the price too high, you turn away the best prospects for your home. By asking too little, you’ll probably sell faster but net less from the sale. We can do a comparative market analysis and a home visit to help you set the best price for your home. In a highly competitive spring home selling market you are best served to show your home at its best. Home buyers want to see your home in move-in condition from the first day it’s listed. together we can point out your home’s chief assets and highlight them. While cleaning and clearing out clutter is important to get your home ready for sale, undertaking a major project could cost more than what you can recover from the sale. However, some major repairs, like replacing a roof should be addressed if needed. Although selling your home yourself (FSBO) looks tempting as a way to save money, survey show that self-sellers net less from the sale then sellers who use a Realtor. And self-sellers find that agents do a lot more than most people think – from bringing qualified buyers to keeping things on track to settlement. Special options can attract buyers without costing too much. Often incentives like a home warranty, paying points or some closing cost can be figured in when setting the price of the home. As we are experienced Real Estate professionals, we know what works and what doesn’t. Lets discuss together any advice you are uncomfortable with or disagree with, and together we can find the best way to sell your home.